The earth is the real treasury. However, a person can not simply draw from there all the resources he needs. There is a lot of danger in the depths. Perhaps even a stone that looks ordinary can in fact turn out to be poisonous. Where can we expect potential poisoning? There are several minerals that are not only toxic, but also potentially dangerous. They crystallize in the rocks and look deceptively beautiful. These minerals can harm and not only in the form of physical impact. That is why we should talk about the most dangerous natural minerals on the planet. 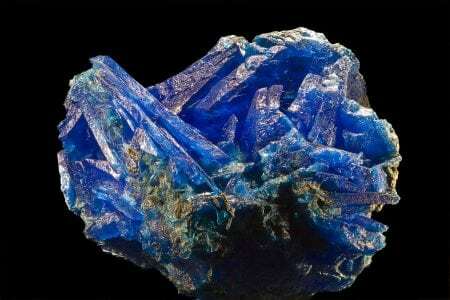 This mineral has beautiful and attractive blue crystals. They consist of copper, which is combined with sulfur, water and other elements. This mixture becomes dangerous. In copper, there is nothing bad, but in excess quantities it becomes toxic. 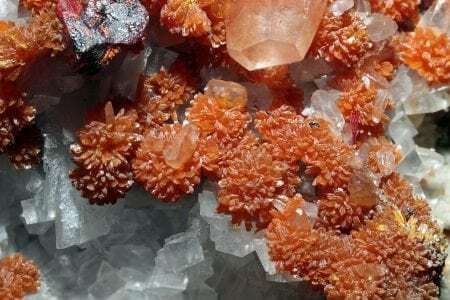 The very same crystal is biologically active – it dissolves easily in water, and then copper in large quantities can be absorbed by an animal or plant. As a result, living beings will quickly be weakened, important organs of life will begin to refuse, death will come. 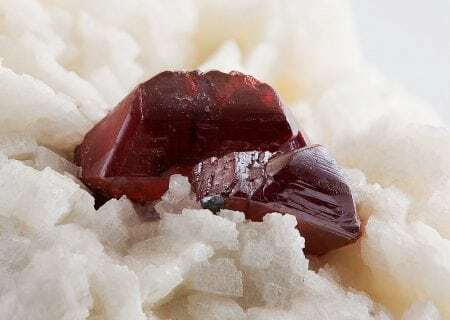 Those who want to touch the secrets of minerals should never try Chalcanthite for salt content, because this can lead to a serious overdose of copper. Even the simple extraction of beautiful blue crystals immediately destroyed all the algae in the whole pond. Chalcanthite can cause serious environmental problems. True, the beauty and rarity of the mineral led to the fact that, even within the geological communities, artificial crystals are grown for sale, giving them away for real ones. About this crystalline mineral has become known relatively recently. It falls in the veins of magma. 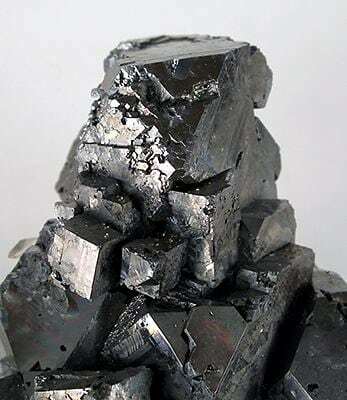 Coloradoite is a compound of mercury telluride, which is formed during the alloy of this liquid metal with tellurium, another very poisonous and rare metal. That is why Colorado is at once a double poisonous threat for any daredevil who will take this mineral in his hands. The friendship of two dangerous elements rewards the person with the risk of poisoning by careless handling of the mineral. If it is heated or chemically affected, the coloradoite can begin to release very dangerous dust and vapor. It is interesting that a man extracts a mineral for the sake of the tellurium contained in it. Minerals tellurium can also accompany gold, but previously such combinations were simply not known. The fate has developed so that the deposits of the poisonous mineral were developed in times of unusual gold rush in Australia. People poured potholes in the road with stones of tellurium with gold, then only after realizing that the treasures are literally under their feet. Lead has a gloomy double – thallium. This fatty and dense metal is close to lead by its atomic mass, but much more dangerous. Thallium is a rare element that can be found in poisonous compounds, which are a bizarre combination of substances. Even the influence of thallium is very strange. This is the loss of hair, and the disease from a single contact with the skin. As a result, thallium is a deadly metal. 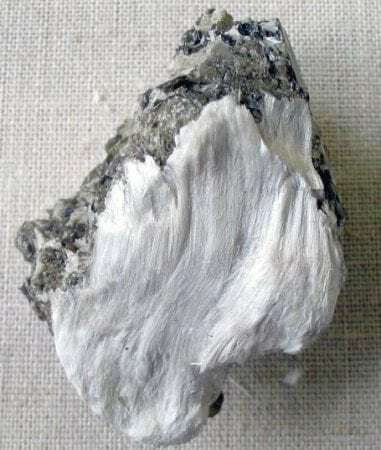 A mineral guchinsonite is an unusual but poisonous cross between thallium, arsenic and lead. These three dangerous ingredients give a deadly cocktail, which should be handled with extreme caution. Its name was given to the mineral in honor of John Hutchinson, the famous Cambridge mineralogist. And you can find guchinsonite in the mountains of Europe, in various deposits of ore. This mineral is the main ore for obtaining lead. Galena is a brilliant silver cubes, in which the shape to the strange is ideal. Lead itself, as a rule, is very flexible. But thanks to sulfur in galena, the metal becomes brittle and is available for chemical treatment. 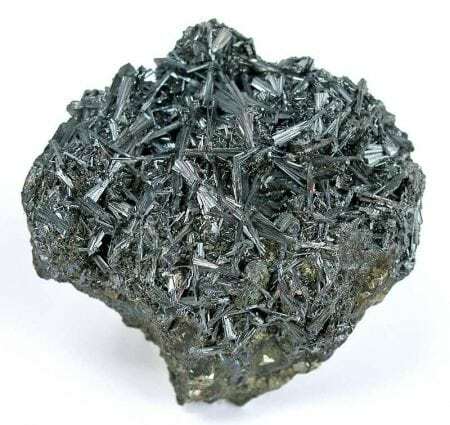 Those people who worked with galena without safety measures, the mineral can give serious illnesses. So, work with samples is fraught with inhalation of dust. Workers in mines, however, have an increased risk of poisoning themselves from galena, as a lot of dangerous dust is formed during production. And after the extraction of lead of their mineral, during cleaning and processing metal represents an ecological bomb. 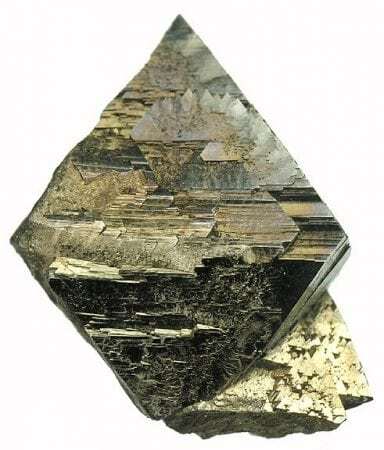 It is interesting that the galena has a cubic fracture process. So after hitting it with a hammer, several smaller copies of the original shape are formed. Asbestos is not at all an artificial material. Moreover, it is one of the most terrible minerals on the planet. His other “brethren” usually act as toxins because of their chemical composition. Poisoning victims is accidental, but asbestos literally attacks a man’s lungs, producing a mechanical accident there. This mineral is completely natural, it is based on silicon dioxide (the most common solid mineral on the planet), iron, sodium and oxygen. The deposits of this substance are a mass of threadlike tiny crystals that easily spread through the air. Accordingly, asbestos particles can also freely enter the human lungs. Crystals irritate the lung tissue, causing carcinogenic effects. Causes of this are scars. And asbestos formations can be found in any set of siliceous rocks. That is why any research should be combined with security measures. And the spread of asbestos in the atmosphere of the planet is facilitated by such a natural process as natural weathering. As a result, many people, without knowing it, carry a bit of asbestos in their lungs. This mineral belongs to the gold of fools, but there is an important difference. Anyone who mixes up arsenic pyrite with gold will not just be a fool. An even more erroneous step would be to touch this mineral, and then use the hands for cooking and eating it. 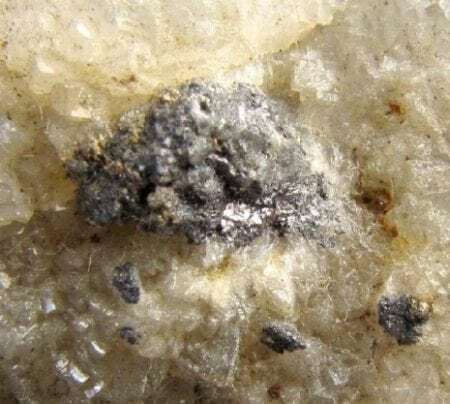 Arsenopyrite is a mixture of arsenic and iron sulphide. Mineral belongs to the same type as pyrite, iron sulphide, the very gold of fools. The only difference is that there are also heavy additions of arsenic. If the mineral is tried to change or it is heated, then it will give a strong smell of garlic. So it smells of arsenic and toxic, corrosive and carcinogenic vapors from arsenopyrite. Treatment of the mineral can lead to human contact and unstable sulfuric salts of arsenic. And to reveal this mineral it is possible, simply having struck on it a hammer. As soon as sparks fly, and soon there will be a smell of garlic, you can understand that there is a dangerous arsenopyrite in front of you. This mineral in general can be called infernal. Green crystals have the shape of a prism and are produced in the form of secondary deposits in granite rocks. Urban is included in the composition of the Torbernite. He is involved in a complex reaction with copper, phosphorus and water. Beautiful crystals are so beautifully accumulated that they literally beckon to collectors. That is why people often took them for their home collections. A copper of beautiful stones slowly exudes deadly gas radon, leading to lung cancer. So it is better not to approach this mineral, leaving it alone. Torbernite can also be found in granite, which is why a typical stone countertop can have traces of a dangerous mineral. 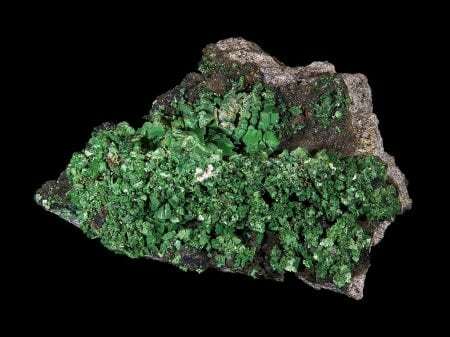 But thanks to the accumulations of bright green crystals, prospectors understand when there are uranium deposits nearby. In composition, the mineral is antimony sulphide, but it looks like silver. That is why the huge and shiny metallic crystals of the unstable compound were used at the ebb of the beautiful dishes. Only now the crystal in the form of a sword became deadly to all those who used them. 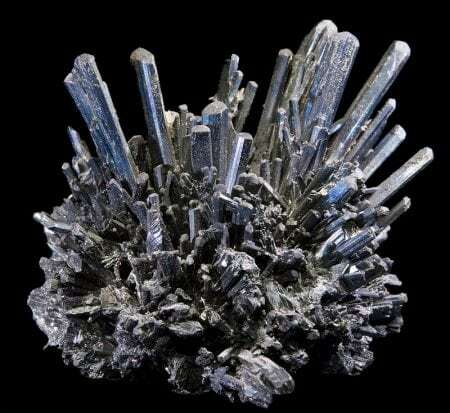 Stibnite with inclusions of antimony killed many people before it became known that beautiful dishes lead to terrible food poisoning. Even if the samples of the mineral are collected only for the collection, it is necessary to handle them with great care. Otherwise, poisoning will be inevitable. Any contact with stibnite provides for the subsequent washing of hands. The best mineral crystals are in mines near the Japanese Osaka, particles grow to 30 centimeters in length. Most of the samples of a dangerous stone seem like an external view of miniature spiers. This stone has surpassed the fame of arsenic, because it consists not only of it, but also of sulfur. The crystals of auripigment are chemically active and deadly. They grow underground in the form of mineral formations. Usually you can find a stone near the hydrothermal springs. The mineral is pretty seductive colors, but if you just pick it up, then it will allocate carcinogenic and neurotoxic powder – arsenic. The Chinese have learned to use this mineral, widely using it similarly to cinnabar. Only the effects of the auripigment were much more serious. The stones were pounded, and then arrows fell into the powder. They produced a poisonous effect, so the stone was used in a very unusual way – it was not necessary to throw it. Known auripigment in that it emits a strong garlic smell. This he owes to the high content of arsenic. Turn into a dangerous powder mineral can even under the influence of light. Mineral has long been a key ingredient in the creation of ocher paint, no doubt, many artists who used it were ultimately poisoned. In composition it is mercury sulphide. Mineral is the most toxic of the existing on Earth and subjected to treatment. Its very name translates as “the blood of a dragon.” Ore cinnabar is the main source for mercury mining. Bright red crystals appear near the volcanoes and sulfur deposits. They signal a great danger. When heated or processed, the mineral gives pure mercury. A person standing nearby can begin to experience seizures, lose sensitivity and even die. In the Middle Ages until the end of the XVIII century, the direction of work in the Spanish mines with cinnabar was considered a kind of death sentence. In China, from cinnabar they created beautiful dishes for food, from the pieces of mineral did various unusual carved works. Artisans often paid their lives for such beauty. Incredible today seems the fact that some ancient doctors believed that cinnabar has healing properties. This mineral was even prescribed for the treatment of certain diseases.